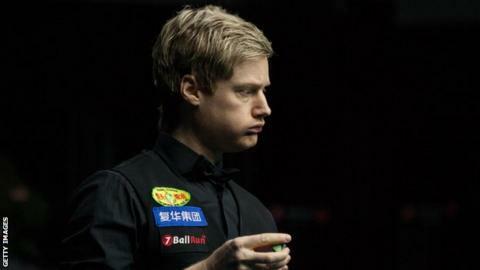 World number 105 Luo Honghao beat Robertson 4-2 to set up a quarter-final against Ronnie O'Sullivan on Friday. Defending champion O'Sullivan beat Israel's Eden Sharav 4-1 with breaks of 76 and 72. Earlier, world champion Mark Williams, another Crucible champion Shaun Murphy and 2013 runner-up Barry Hawkins, went out in the third round. Elsewhere in round four, 2015 world champion Stuart Bingham thrashed Ricky Walden 4-0 and Thailand's Noppon Saengkham edged past Robert Milkins 4-3.